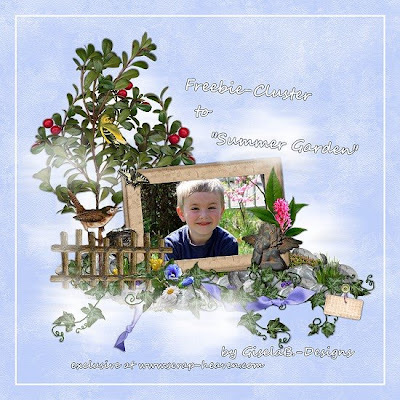 and a wonderful page from Tany with "Summer Garden"
Thank you again Tany for your beautiful work! and here a page, made by Irene - isn't it wonderful !!! till sunday, both will be available with a 20 % discount! wear my fanblinkie and you might get raked!